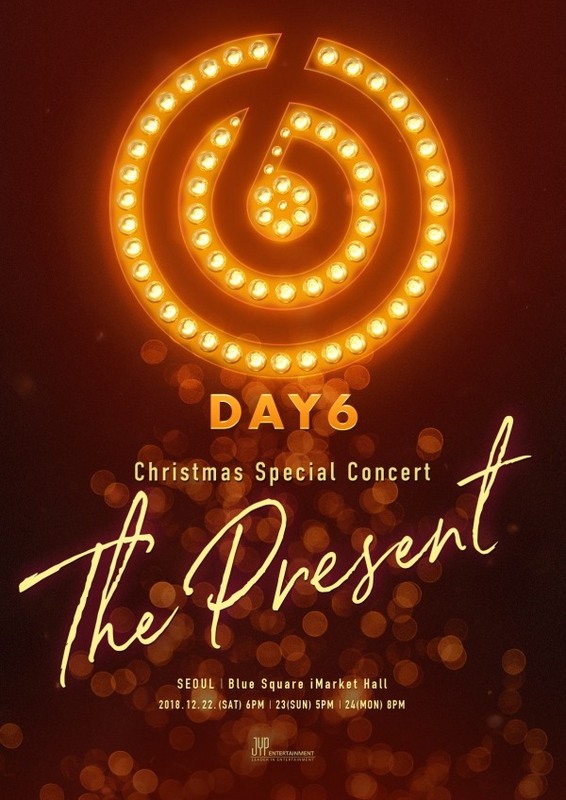 Day6 has prepared an early Christmas gift for fans -- a concert to be held in late December. JYP Entertainment announced Thursday that the five-piece boy band will hold a Christmas concert titled “The Present” on Dec. 22, 23 and 24 at Blue Square Concert Hall in Seoul. Day6 recently wrapped up its nationwide tour in Japan. The band has been preparing to continue its world tour in North and South American cities through November and European cities in late January. Day6 won the best band performance award at the 2018 MGA on Tuesday.